It’s one of the biggest holiday nightmares for travellers – arriving at your destination only to find that your suitcase is nowhere to be found. However, new technology has now been created which could mean you will never lose a suitcase again. 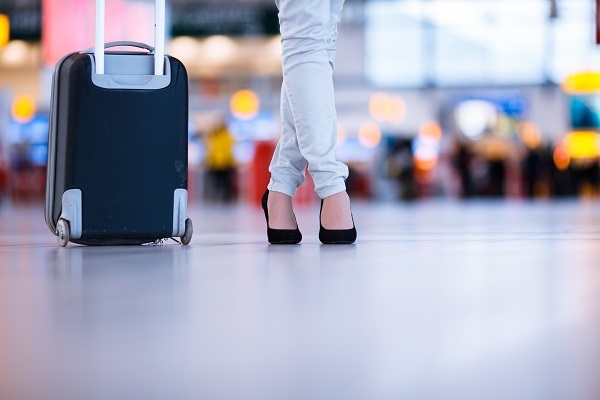 A range of suitcases have been created which do far more than simply hold your luggage, they can tell you where they are, alert you when they arrive at baggage reclaim, charge your phone and even prevent theft using finger print technology! • Pluggage could be on the market very soon, it charges your phone and sends you a message when it makes it on board. • Space Case 1 has already raked in over £250,000 on Kickstarter and boats a digital scale, a microphone to Bluetooth music and phone calls to the case, three USB charging ports, a finger printing lock, anti-theft software which is activated when the owner’s phone is 40 feet away and it even sends you a text when it arrives at baggage reclaim. • Airbus Bag2Go is being developed as the next generation of ‘digital luggage’. The suitcase has GPS tracking, so you can check on your bag at every stage of the journey. • Titan High-Roller has been designed as a carry on slash scooter combination, so you can get to your gate in style! • LeTrav Convertible Carrying Case converts for all of your travel needs, changing from a briefcase to a backpack in seconds. • Bluesmart raised over £1 million on Indiegogo for a reason – it is a case you can only control from your phone using a dedicated app. You can lock and unlock, weigh, track and even receive notifications if you are leaving it behind! Plus it even has a built in battery for charging electronics, and it will tell you all about your travel habits. Visit Holidaysafe.co.uk for more information on protecting your possessions during your next trip.